Most businesses are now technology dependent. This means security concerns aren’t just worrisome to large corporate enterprises anymore, but also the neighborhood sandwich shop, the main street tax advisor, and the local non-profit. Regardless of size or type, practically any organization has valuable digital assets and data that should not be breached under any circumstances. This makes it the responsibility of every business, especially those collecting and storing customer/client information, to implement a multipronged approach to safeguard such information. Yes, we’re looking at you, Mr. Pizza Shop Owner who has our names, addresses, phone numbers, and credit card information stored to make future ordering easier and hassle free. Protecting your business and its reputation comes down to developing, implementing, and monitoring a robust security plan that adequately addresses everything from physical access and theft to the threat of compromised technology security. This involves defining and outlining acceptable uses of your network and business resources to deter inappropriate use. Here are four key components to consider. Network Security Policy: Limitations must be defined when it comes to acceptable use of the network. Passwords should be strong, frequently updated, and never shared. 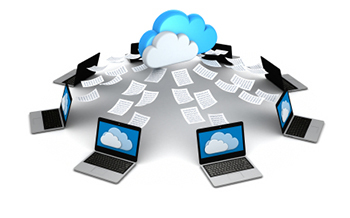 Policies regarding the installation and use of external software must be communicated. Lastly, if personal devices such as laptops, tablets, or smartphones are accessing the network, they should be configured to do it safely, which can be done easily with a reliable Mobile Device Management (MDM) solution. Inappropriate Use: Obviously, any use of the network or company-owned system or device to distribute viruses, hack systems, or engage in criminal activity must be prohibited with the consequences clearly noted. Any website that employees cannot visit should be identified if not altogether blocked and restricted. For instance, downloading an entire season of True Blood from a Bit Torrent site isn’t an acceptable use of company Internet resources. Every employee must know these policies and understand the business and legal implications behind them. Companies must also make sure these policies are clear and understood by all, and most importantly, strictly enforced.